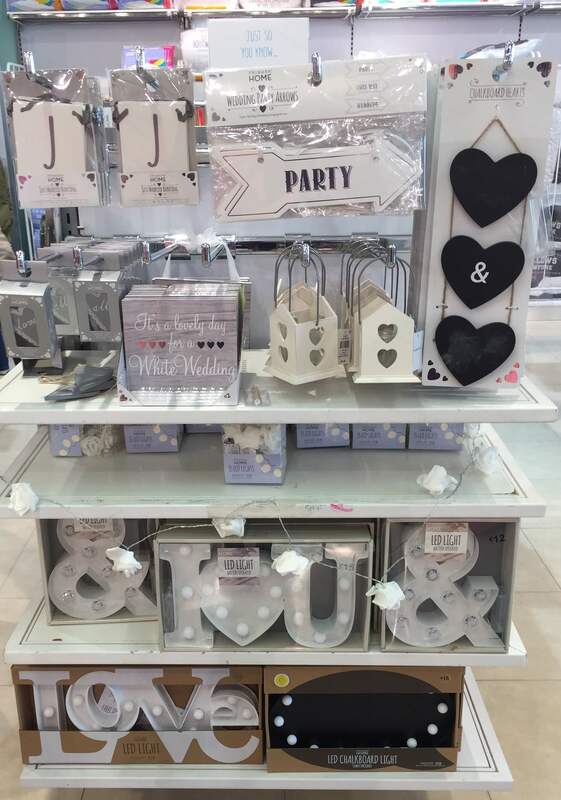 Pennys/Primark are now stocking a very affordable wedding range. This ranges from lights, cute signs, buntings, chalkboard signs, light up display pieces and even dresses suitable for flower girls. Perfect if you are trying to save some money in the budget. I want to buy it all! !